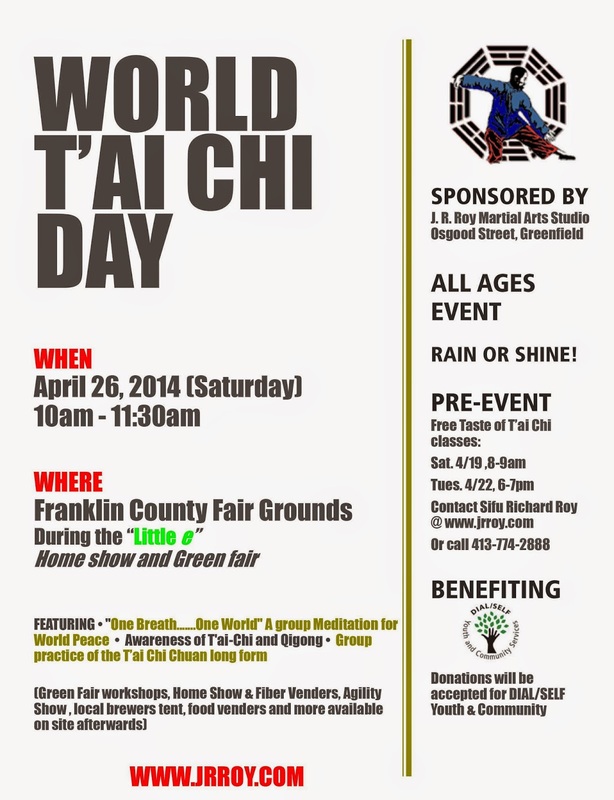 We didn’t have the best of weather for this years World Tai Chi Day event at the Franklin County Fairgrounds. 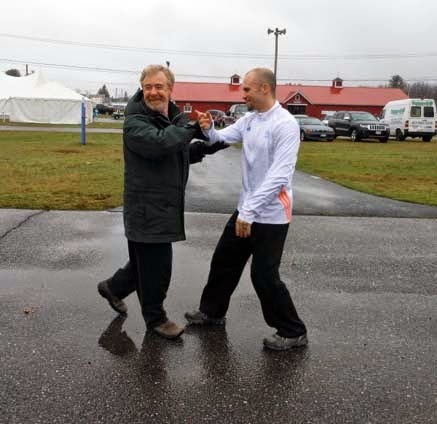 But we did have 25 or so hearty T’ai Chi players and a few beginners show up for the 10am practice/demo. 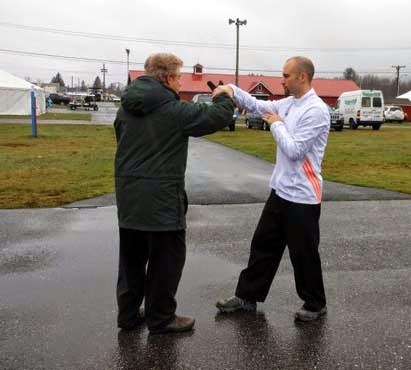 I was also pleased to see a few students for other T’ai Chi groups, notably a couple of students from Marcia Gobiel’s Wendell group and several from Debra Pell Yaffee group too! Please donate to Dial/Self. They are truly one of the things that makes the quality of life in Franklin County what it is.